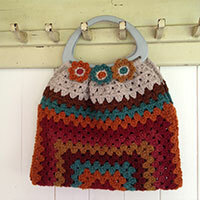 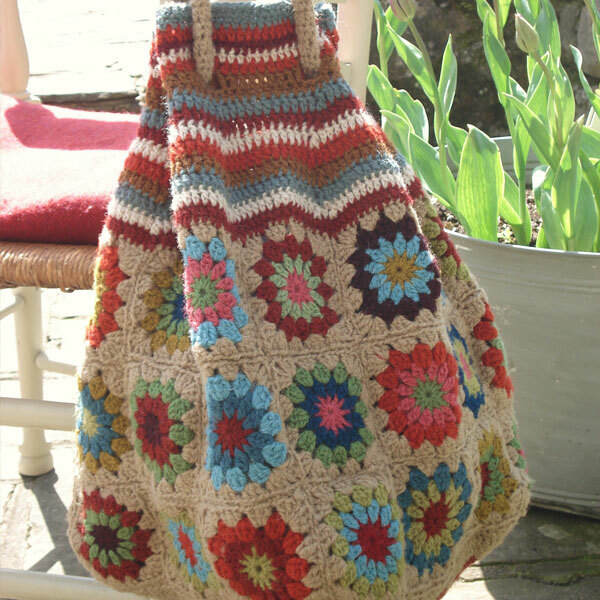 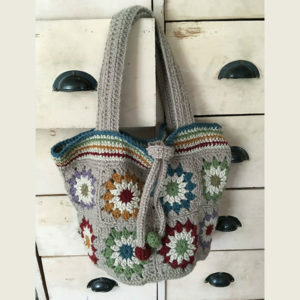 The main body of the bag is made up of 36 granny flower squares. 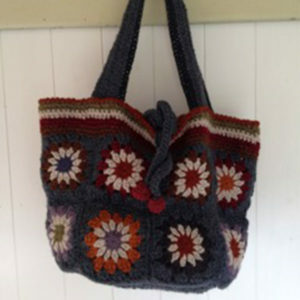 Contains 15 colours of wool. 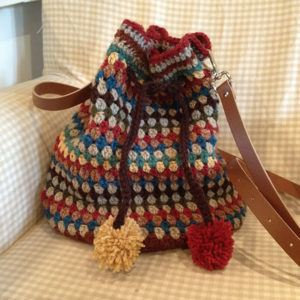 Full crochet and making up instructions included.